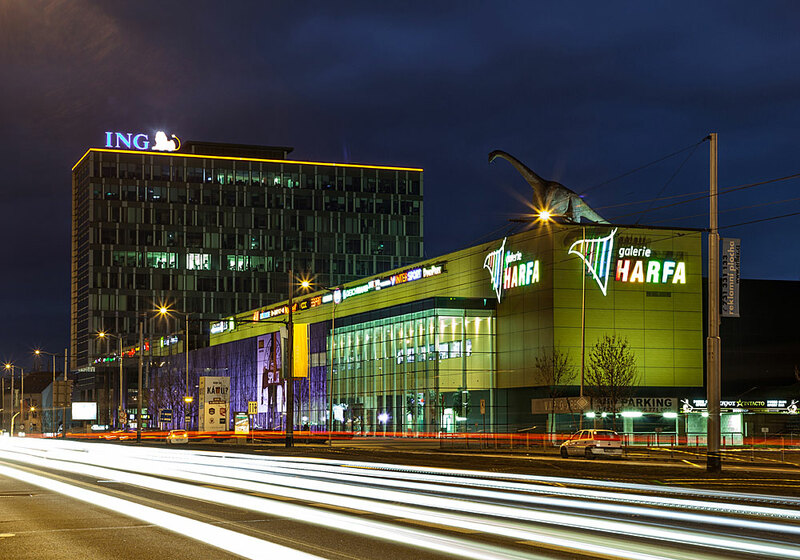 The Harfa Gallery commercial and administrative centre is a close neighbour to the O2 Arena in Prague 9 - Vysočany. 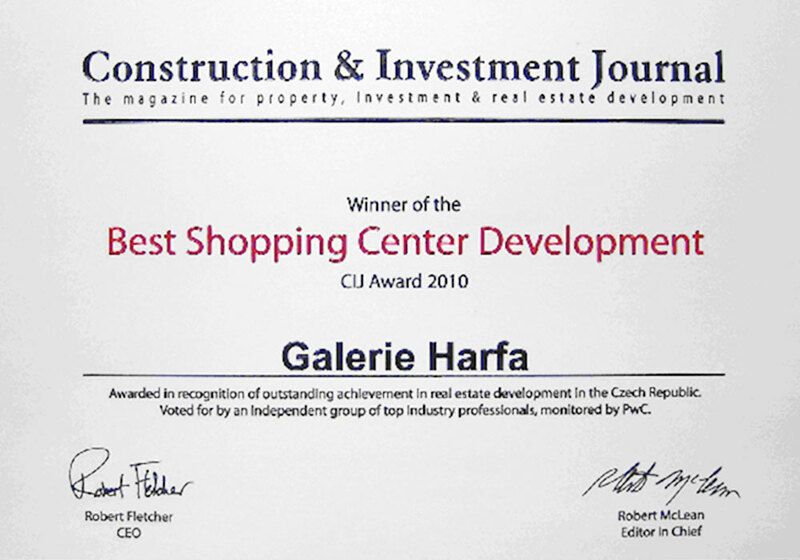 Opened in 2010, with its total area of 41.500 m² it offers in excess of 160 commercial units on three floors. 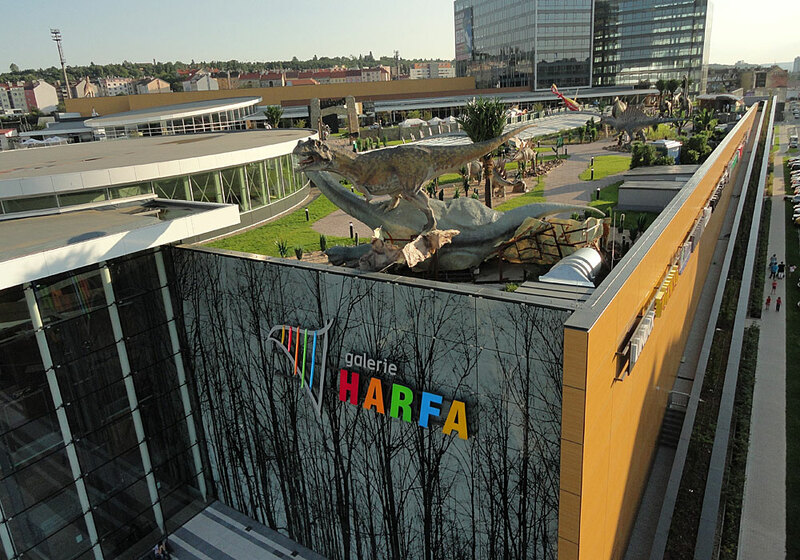 Harfa Gallery is unique thanks to its terraced roof garden accessible from the food court and restaurants. 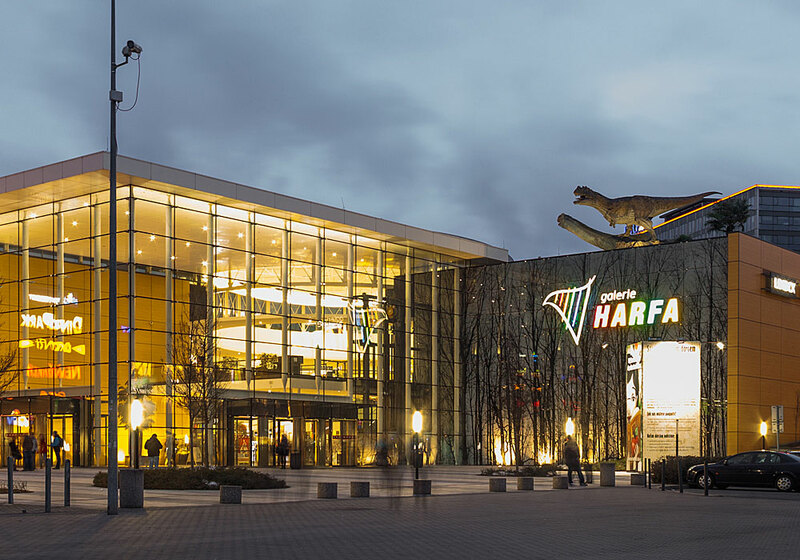 The garden features the DinoPark, Prague’s only facility of its kind, a playground, an ice rink in winter and a multi-purpose sports area in summer. It is also a venue for interactive musical events. 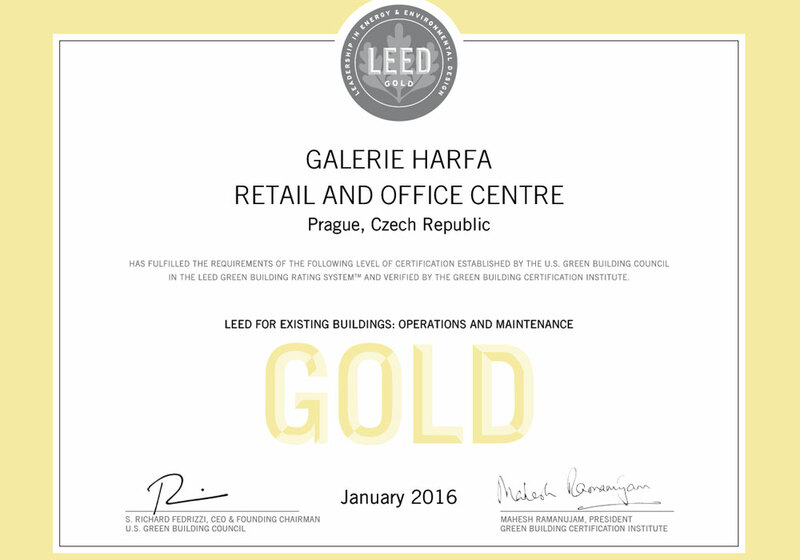 In 2016, Harfa Gallery acquired the prestigious LEED Gold Certification. An attractive mix of lessees, excellent transportation accessibility as well as further construction development planned on site at the Českomoravská Metro Station neighbouring with the O2 Arena – all of that represents a significant potential for further growth in the Centre’s visitor rate. 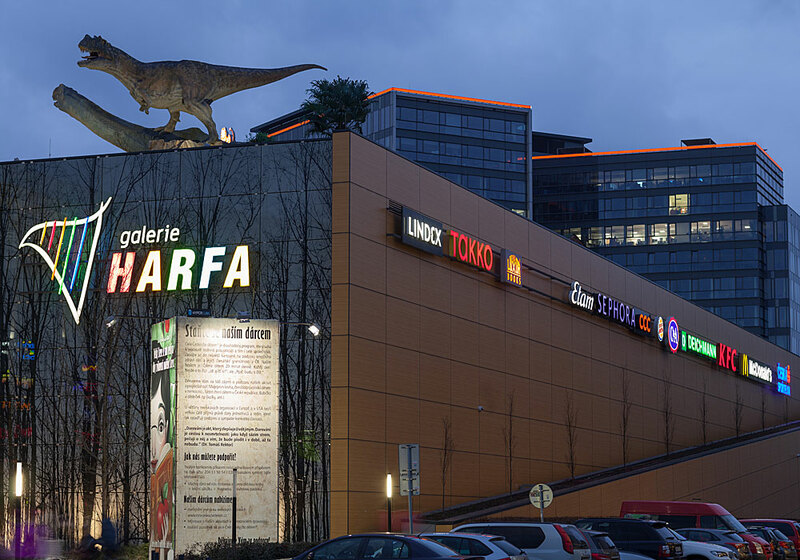 In 2016, the Lighthouse Group sold the Harfa Gallery commercial and administrative centre to WOOD & Company investiční společnost, a.s. 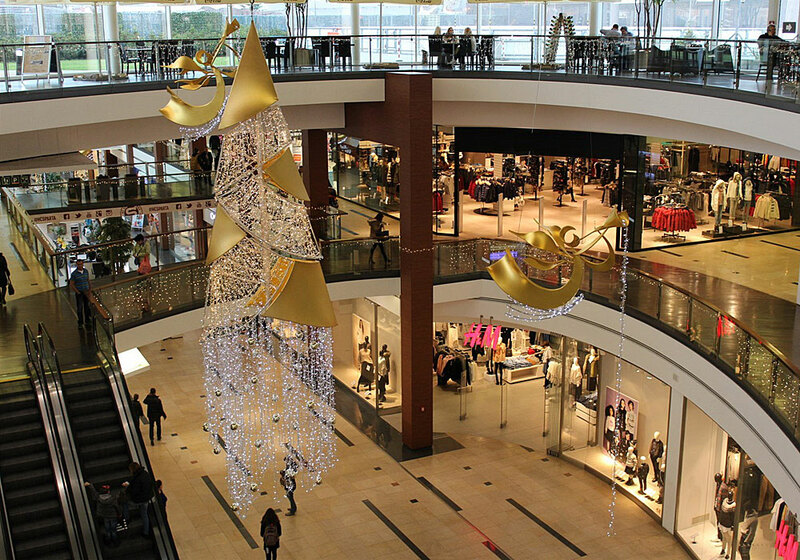 The Lighthouse Group development company, however, continues operating as the commercial centre’s manager.